Sounds like everyone has some really interesting ideas for the new year, I wish you all sucess on all your projects. 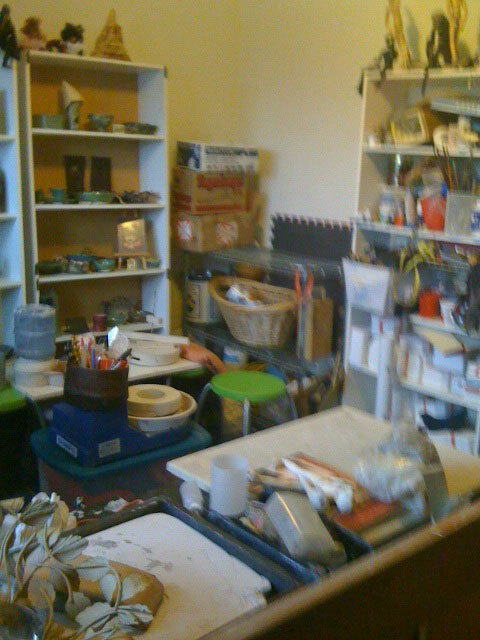 Personally I'm hoping to go into the workshop when there is no ceramics group on so I can practice my throwing more. I'd really love to make a teapot in time for my brothers wedding present in the summer. ^^"
I am still a beginner, so I want to improve my throwing skills, would like to throw forms with lids, such as casseroles and maybe a cookie jar. 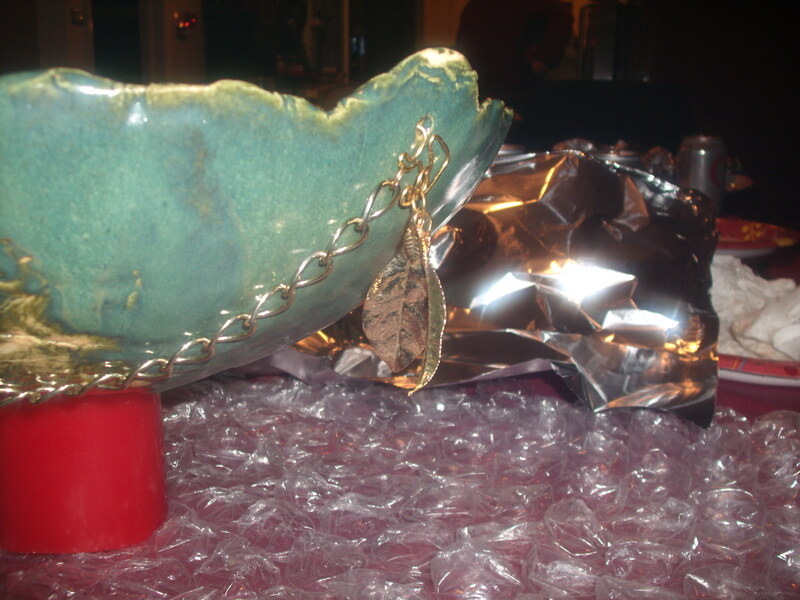 I threw my first agateware piece in my last class, want to throw more agateware, and try handbuilt agateware as well. 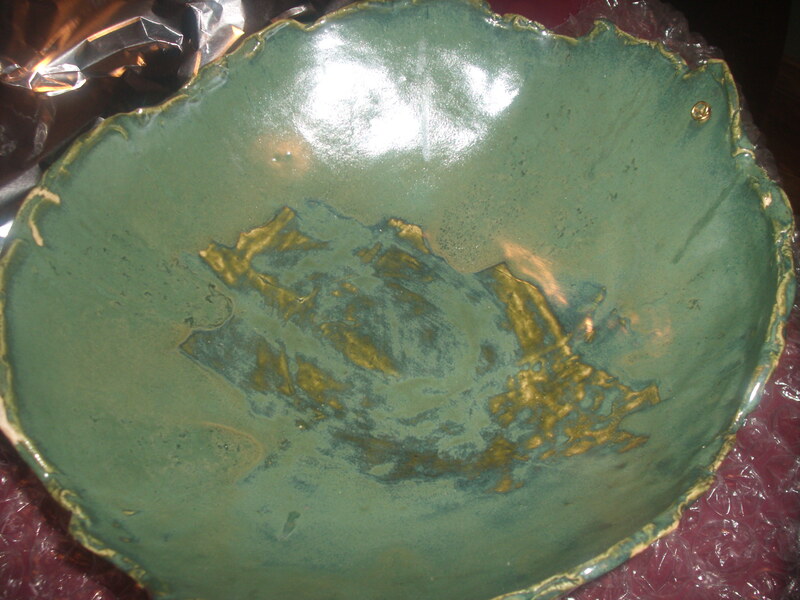 I want to do more Raku firings, and I would like to have enough made to try selling my work at one or two craft fairs next year. This is a very interesting thread. As a beginner, too, I want to improve all my skills. I feel like I have clay-ADHD--I can't seem to focus on one thing--one particular technique, a consistent glaze selection, etc. I am making lots of different handbuilt pieces. Placed on a table they look like a clay salad--all mixed up. I really would like to get better overall and decide on a a style that could be my signature. For those of you experienced potters, how does this happen? How long did it take? Here are more ... No chimneys are ready yet. I have a new direction I am taking and it took me a long time to develop it, pasta bowls and BBQ's. I have made beautiful pasta bowls for Xmas presents that were a big hit. They are all handbuilt use ceramic pottery tools I made - by the way they work perfectly- don't know why I did not think of using clay for tools before. I am planning on making more and I will post the tools when I take pics. 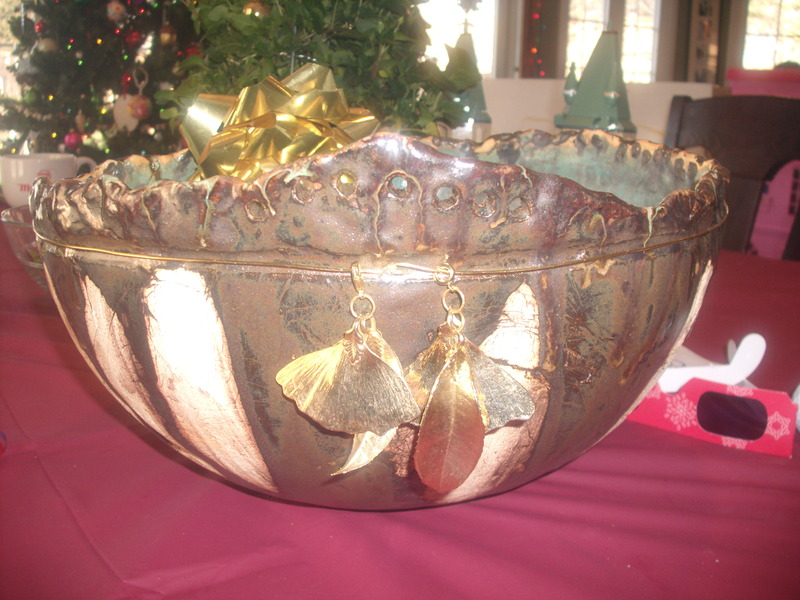 I used wire, beads and 24kt gold leaves on the pasta bowls. I am incorporating all jewelry making wire wrapping techniques, so these bowls have bling. The BBQ's I have been working on for a couple of years - hope to have a show next year with them. I use refractory clay for the chimneys -liners for BBQ's - and they must be slow fired. This is will accomplish when I buy my kiln next year. Not intending to "hijack" the thread, but I have a request to make. When you're attaching or including pictures in a thread reply, could folks please take a minute to check the size of the files? Recently I've been coming across graphics files that are so huge the only way I can see anything other than just a corner is to smallify the browser contents to the point where the type is literally unreadable, and the pic still takes up 2/3rds of my entire screen. If you could limit the size of your graphics to about 600px in either direction, that'll probably fit better on most screens. Still plenty big enough to see good details, but not so huge it's overwhelming. A few times I've seen pictures that are too small, but here lately they've just been gigantic. This isn't aimed at any ONE person, and I'm sure folks don't realize the effect larger file sizes are having. The lightbox feature on here isn't all that accomodating, it just displays the actual file size. Just a thought - limiting the size of your pics can actually make them EASIER for people to see! I am working on a BBQ for two and a half years now, trying to perfect the clay. Flameware is almost the same as the chimneys I am building for my BBQ - actually "liners" but I call them chimneys, humor me. It comes down to firing the clay very slow. I need to fire the refractory clay by raising it 50 degrees every hour. I need a digital kiln and hope to buy one next year. Right now I am mixing raku clay with the refractory brick and will be firing that ... 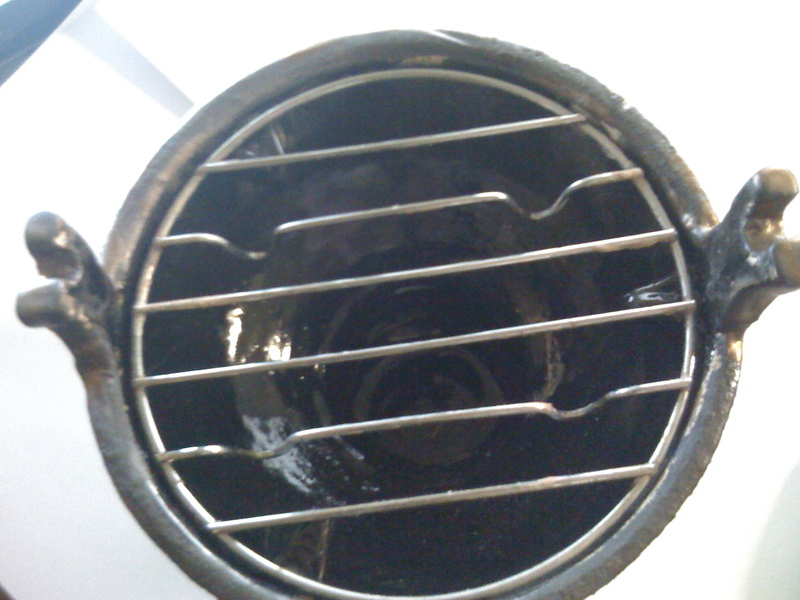 So far, 38% refractory doesn't work for me. I will try 10%, 20% and see if I could do a regular firing with that formula, e.i. at cone 04 or 05 before I buy a new digital kiln. Any thoughts? Some pics of my bedroom studio. I sleep in the LR. I used to have my studio in the LR closet. I love my bedroom studio.